​Through the week, he serves Elk County as a Roadway Programs Technician. But since 2007, Doug Metheney has answered another official calling — serving each spring and into summer as a Pennsylvania Interscholastic Athletic Association (PIAA) umpire for girls' softball. As a roadway programs technician, Metheney fills specific roles related to purchasing and inventory. He is responsible for inventory of contract materials used for maintenance roadway work in Elk County, and purchases items like parts needed in the garage and consumables kept in the county storeroom. It's a job that keeps him busy at work year-round. Umpiring, on the other hand, keeps Metheney busy from April through June, when championship games typically take place. He covers a large region stretching from Clearfield to Bradford, Brookville to Sheffield. Umpires come out of a Chapter within the PIAA District and there are two Chapters in PIAA District 9 — the Interstate 80 Chapter and the Northwoods Chapter. Metheney belongs to Northwoods. A shortage of umpires has him officiating across the region through game-to-game contracts and assignments made by the assigner in his Chapter. Through these contracts, Metheney can flag schools and games where he might have a conflict of interest. For example, he would avoid games involving Johnsonburg High School because he lives in Johnsonburg. Each April through May, Metheney officiates regular season games across PIAA District 9. Late in May, district playoffs begin, with champs crowned at each level. Once district playoffs are complete, state competition takes place. Once state playoffs begin, teams from levels 1A through 6A could be involved. Throughout the softball season, PIAA evaluates umpire performances individually and as a crew. The sssigner in the Chapter puts district and state crews together and submits them to PIAA. The PIAA then makes the umpire assignments. This year, Metheney had the honor of being the crew chief (Home Plate Umpire) for the Class A State Championship game between Central Dauphin and Mohawk, held at Penn State. Out of approximately 1,200 umpires statewide, only 24 get to officiate at a state championship game each year. 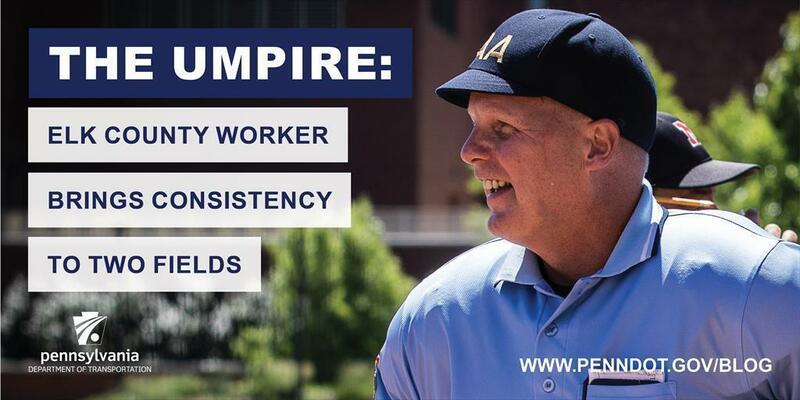 There are aspects of umpiring that translate at work, including discipline, consistency, and being methodical. Although Metheney has always been a prompt person, he said the need to arrive early for an umpiring assignment is a skill well-suited to any job where being on-time is expected. "Growing up, we were taught if you're on time, you're late, so I'm usually early," he said. Metheney also shared that throughout the spring, the umpire chapters meet on a regular basis to hone skills and discuss changes. "That helps everyone be consistent and consistency is really important," he said. "You don't want to do something that effects the outcome of a game."